Bizagi offers the Security Module that allows you to define a schema of permissions on some of the elements. •The Work Portal as an access point for end users. This Authentication component manages and validates user access to the Work Portal. Bizagi offers several types of authentication to fulfill your business requirements. •The schema of permissions on the Work Portal's menus. 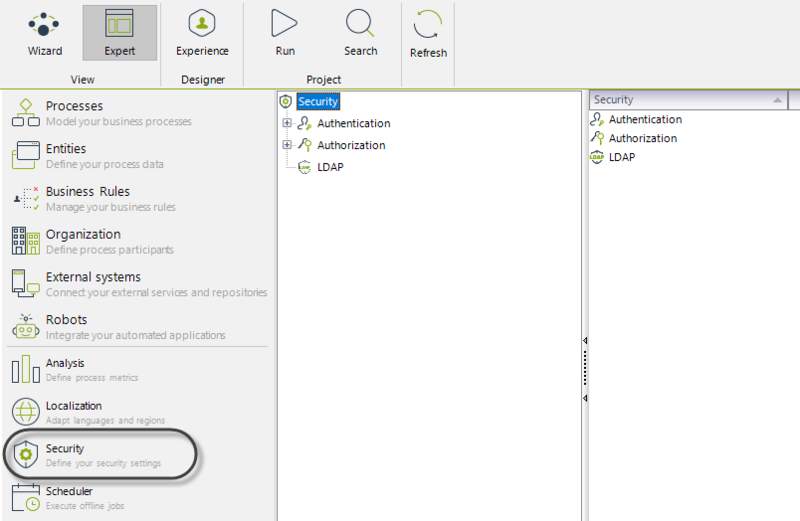 The Authorization component controls access to all pages in the Work Portal. These permissions and restrictions are defined by roles and user groups specified in the Organization component. The users, allocated to the different roles and user groups, can be created directly from Bizagi or imported from Windows, a Lightweight Directory Access Protocol (LDAP) server, among others. 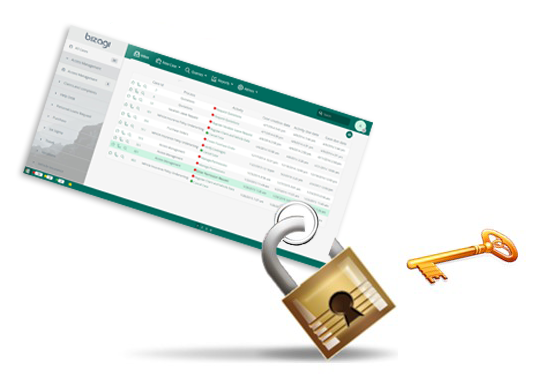 The Security Module is accessed exclusively from the Expert View by selecting the Security module in the Bizagi menu.